Hello crafty friends, Martha Lucia here with you! Today I have a card that I made using the Whale Hello There stamp set. Have you take a look of this stamp set? It is adorable and perfect to coloring. If you are thinking that this model of card is to hard to make, you are wrong. To be honest it is really easy if you create your own pieces to make the waves. I have a complete step by step tutorial of this card here in my Stampartpapel Blog. I used all the pieces that I obtained with my die cuts to create this card and three images included on the stamp set Whale Hello There. All my images where stamped with Memento Tuxedo Black Ink and I colored them with Alcohol Markers. You can see more details HERE in my Stampartpapel Blog. 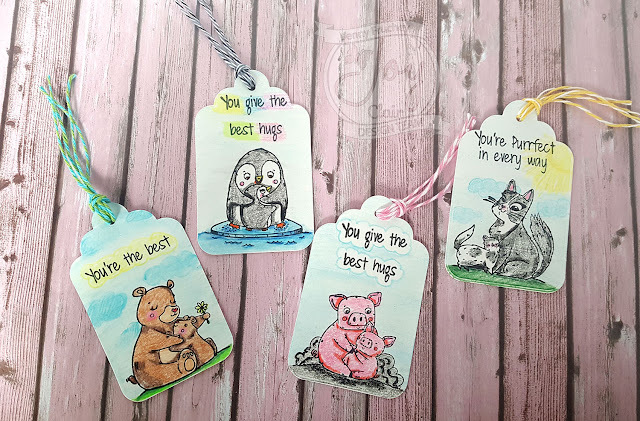 I will wait for you on my blog and remember that ALL FEBRUARY our stamps are 25% OFF using the code SHARE25, to see the new stamps just click HERE and to see the entire store and personalized stamps click HERE! Candy Wrappers with Joy Clair! Hi, Connie here with a cute and easy candy wrapper project using several of the January release stamps from Joy Clair. This project, is one of those, that can be adapted to an event, an occasion or holiday. I used #single, Lucky Charms and Easter Greetings to create these fun candy wrappers. Here are two different examples of the candy wrapper using the Joy Clair stamps. I don't have measurements because they might be different depending on the candy bar or treat bar you wanted to cover. All I did was lay the candy bar down and wrap my paper around and then trimmed the paper until the size was right. It takes maybe 2 minutes to get the paper sized. I used a border punch on this one. The rabbits are stamped with gray ink and the lips and flowers were colored in by watered down red acrylic paint. 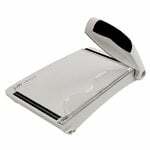 It is what I had out on my work table so that is what I used. A red ink marker would work well also for adding color to the lips and flowers. The front is speckled with white ink. All the images and sentiments were stamped on white cardstock and then cut out. They were arranged on the front of the candy wrapper and then adhered down. The wrapper is secured with double sided tape and tied with twine. Stamps used are from Lucky Charms, Easter Greetings and #single stamp sets. This one is created very much the same as the first candy wrapper shown. I did use scrap papers and I loved that!! The fun element on this one is the paper was run through a paper crimper. I love the look it gave the wrapper. The images were stamped out matted on cardstock and adhered to the wrapper front. The color to the heart and word "Happy" were added with red acrylic paint. The wrapper is secured with double sided tape and tied with twine. The stamps used are from the #single set. It's Ceal, here to share with you today. You know Valentines day is in a couple days and even though it is one of my favorite holidays to make and send cards out, some people dread this day. So today's card is for those of you who do not look forward to valentines day at all and hopefully this card will make you smile and make even giggle. I was once in your shoes, I wasn't in a relationship so I kinda dreaded the day also and then I thought, valentines day is not really about having a boyfriend, husband, partner or significant other, it's all about love and I am up for that so I started making and sending cards to those I loved and it made me love the holiday once again. To create this card, I started with a white top folding card base. I used a mask of a heart shape and placed it down on the right side of the card front. Next I used a paw print stencil and placed it over the entire card front, then using some blender brushes I blended gray ink through the stencil over the card base but leaving the heart shape mask while I blended the ink. I removed the mask and then stamped the kitties from the set Best Buds and then colored them using Copic markers making one of them a tabby because I love tabbies and calico cats but didn't try my hand at coloring the calico one, I just colored the other one gray like a Siamese. 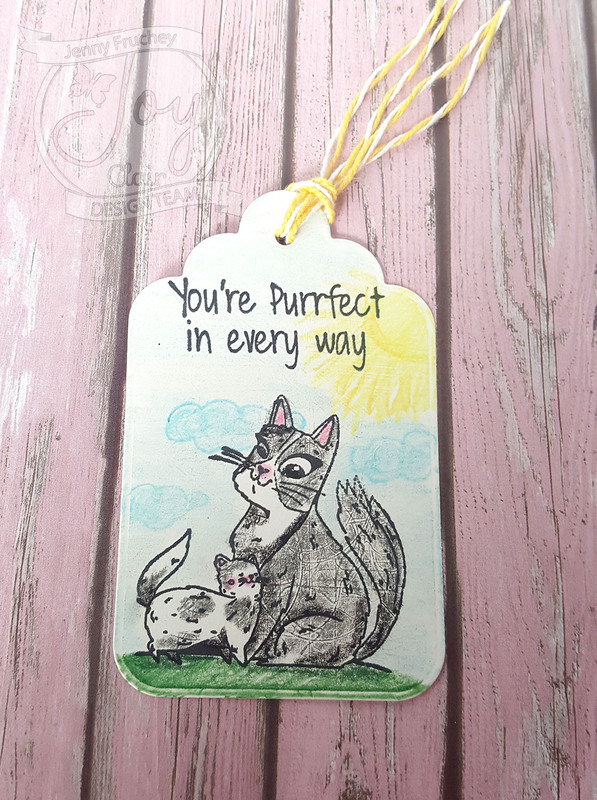 To finish the card I stamped the greeting from the #single set which has so many fun greeting to make that card for those who need a pick me up on valentines day. Hello everyone! It's Lindsay from the design team here with you today and I am super excited to share another video tutorial! Let me just say that this stamp set is going to be a favorite for a lot of people for Valentine's Day, but it isn't a love dovey traditional Valentine's set, it's a stamp set for all of those single people or those whose favorite holiday maybe isn't Valentine's Day and it's called #single!! I made a quick and fun card, with an ombre stenciled background and if you want to see all the details on how I made it, watch the video tutorial down below! The background on this card is super simple to make. You just need a stencil, a few different shades of the same color of ink, and a blending brush or sponge! I like to start with the lightest color of ink and blend it through the entire stencil for a nice base layer and easier blending. Then, I move onto the medium shade and blend it starting at the top (or bottom) and I blended that color to the middle of the card base in this case. Finally I blend the darkest shade and bring it only about the quarter of the way down. If need be, you can use the lightest shade to blend any stubborn colors, but I used my oval blending brushes so I didn't need to! I also made another smaller panel with a fun background to put the sentiment onto. To make this background, I stamped the heart image in the #Single stamp set several times with Memento Tuxedo Black ink to make a quick pattern. And then all that was left to do was color in the images with alcohol markers. I wasn't quite sure how to put the sentiment onto this card, but what I finally decided to do was stamp the sentiment and heat emboss with black embossing powder onto vellum. And because I wanted the sentiment to stand out just a bit more I doubled up the vellum for more opacity. To finish off the sentiment I added the #single sentiment that I heat embossed in white onto black cardstock! When I make cards I always try and bring a little of the design on the outside, to the inside as well. On my card here, the inside was SUPER simple to make. All I did was use one of the inks that I used for ink blending, to stamp a quick sentiment on the inside of the card! I hope you all enjoyed today's video tutorial!! 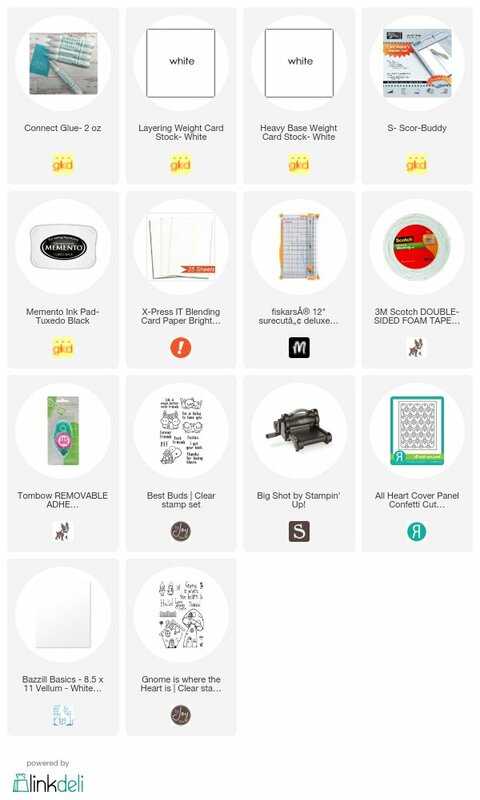 If you are interested in any of the stamps that I used on my card today, you will find it linked down below! Until next time, Happy Crafting!! Hello hello hello everyone... Helen is here! 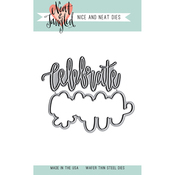 Today I would like to share with you all a couple of fun pun cards that I created using the new released stamp sets from Joy Clair! On this first fun Valentine Pun card, I used the new #Single Stamp Set and Valentine Background Builder Stamp. 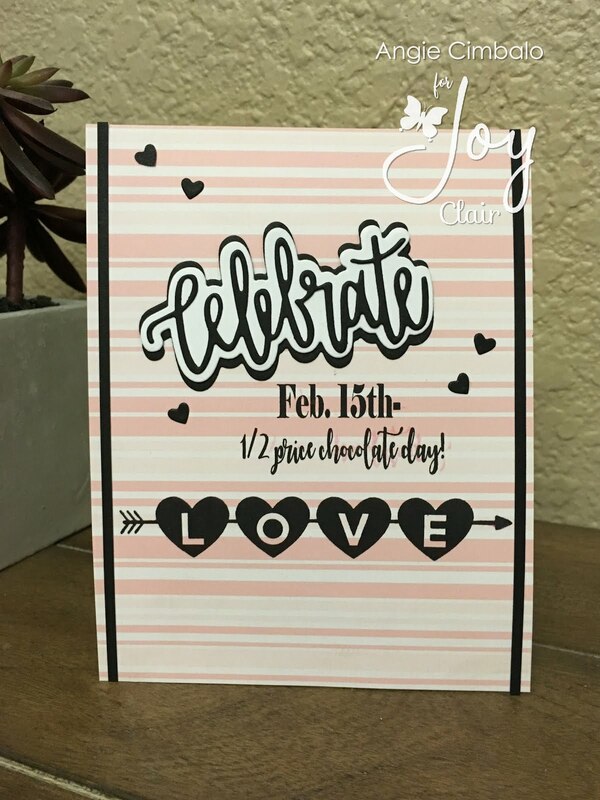 I stamped the one of the heart border stamps from the Valentine Background Builder Stamp on a pink cardstock using Glamorous VersaFine Clair Ink Pad, MISTI, and MISTI Creative Corner Rulers. After that, I trimmed it to 3 3/4" x 5 1/5". And then using E-Z Runner Grand adhesive, I added a piece of red cardstock strip and white glitter paper strip on the left side of the card, and then I added the background panel on the card. I stamped the sentiment from #Single Stamp Set on a white cardstock with VersaFine Clair Charming Pink Ink Pad, and then I trimmed it to fit on top of the heart background cardstock. I added it on the card with 3D foam tape. Then, I stamped the hearts from the #Single Stamp Set on a white cardstock with VersaFine Clair Pinecone Ink Pad, colored it with Arteza Real Brush Pens, fussy cut it with micro-trip scissors, and then I added on the card with 3D foam tape and adhesive glue. And my second fun Valentine Pun card I created using the new Whale Hello There Stamp Set and Mermaid Tail Background Stamp. These stamp sets are fun to create with. It has bit of mixed media on it. I stamped the Mermaid Tail Background Stamp on a piece of watercolor paper with VersaFine Clair Warm Breeze Ink Pad using the MISTI and Creative Corner Rulers. After that, I dried the ink with craft heater, and then I colored the whole background panel with Pearlescents Watercolor Paint and flat waterbrush. I added some paint splatters on the background panel using Marabu Art Sprays (Aquamarine, Blue, Purple). I dried the whole panel with craft heater, trimmed it to 3 3/4" x 5" and then I added on the card with Art Glitter Dries-clear Adhesive Glue. I stamped the whale, jelly fish, and seaweed images on another watercolor paper with VersaFine Clair Ink Pads (Paradise, Purple Delight, and Green Oasis) using MISTI. I dried them with craft heater and then colored with with earlescents Watercolor Paint and small waterbrush. I dried them one more time and then fussy cut them one by one with micro-trips scissors. I added the pieces on the card with adhesive glue and 3D foam tape. I stamped the sentiment with VersaFine Clair Purple Delight Ink Pad on a white cardstock, trimmed it into sentiment banner, and then I added on the corner top of the card with 3D foam tape. There all the fun pun cards I would love to share with you all today... I hope they bring smiles on your faces and inspirations to create! Jenny from Jen's Crafty Place here today using a set from Joy Clair called, "Mother's Day Love". 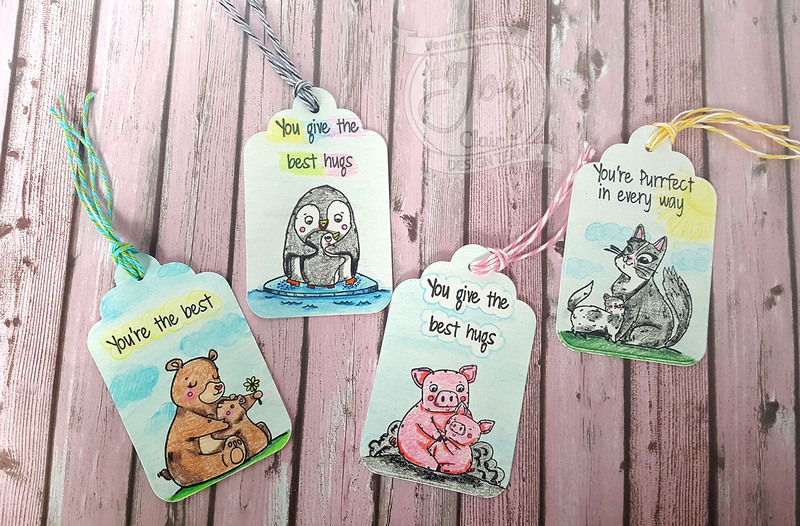 I decided to make some cute tags for just about any occasion. 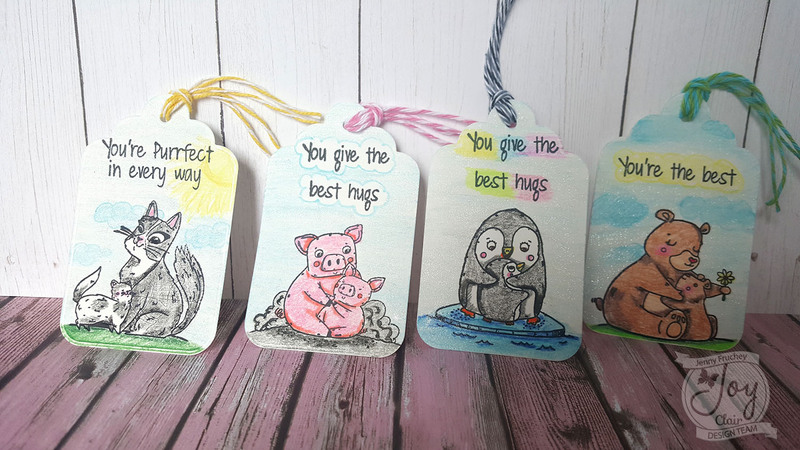 I colored each tag with Leisure Arts Premium Colored Pencils. 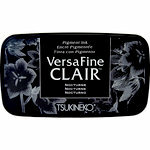 I used some regular tags and stamped them with VersaFine Clair Nocturne. Then I colored each with the Leisure Arts Colored Pencils and did some easy shading. After I colored them all I used a little bit of some glitter pen to add some sparkle to them. I added some colored bakers twine to each tag and I was done! 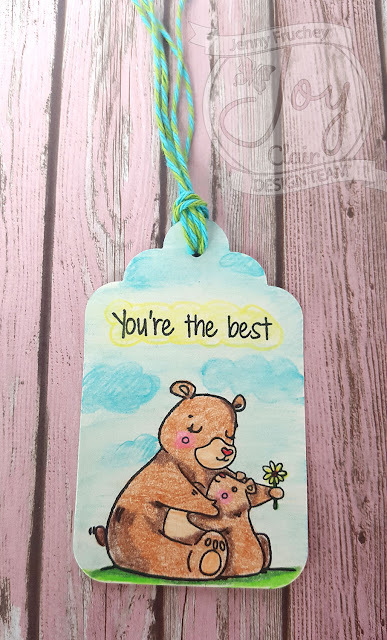 Easy project and great to have on hand when you need a tag for a gift. Hope you give them a try! Don't forget to drop by my blog for more techniques and ideas! Also, sign up for my newsletter so you don't miss any new postings! Until next time!! Happy Crafting! 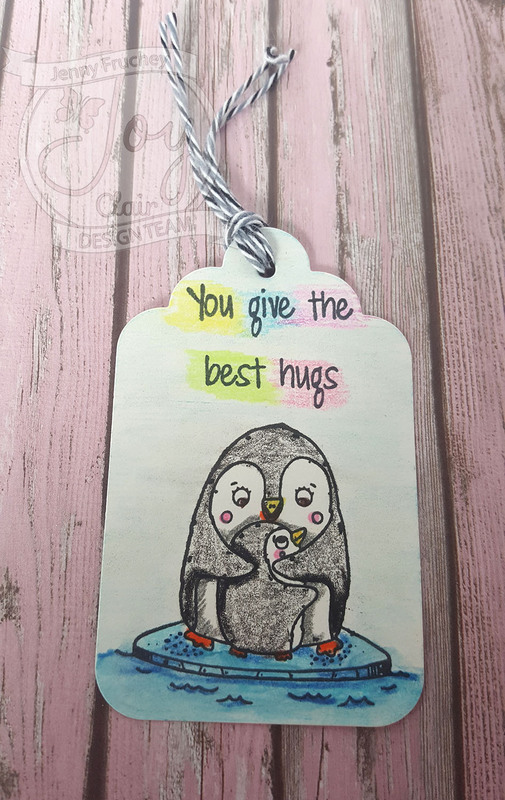 Nicole here with a super simple and fun love card using the Love Languages stamp set. 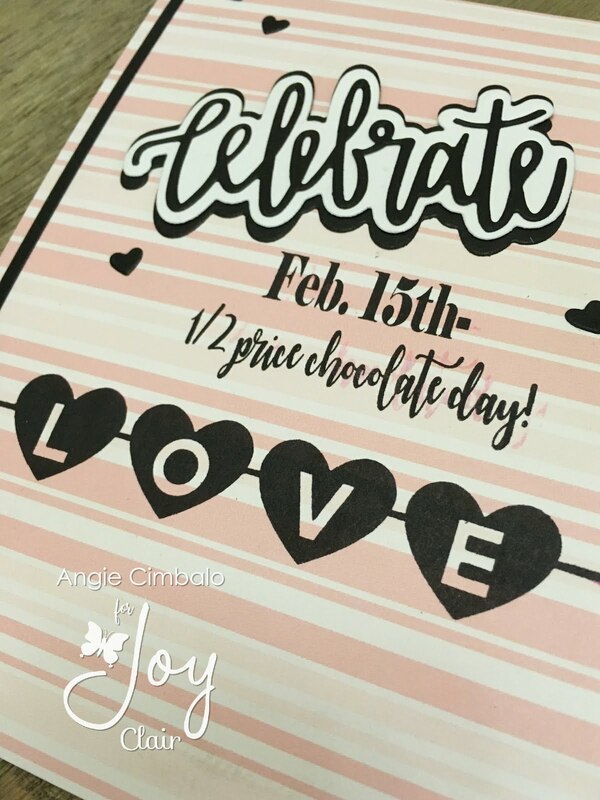 I found my inspiration from the Valentine's Day cards that I made with the Valentine's Day Background Builder stamp set. I loved the black and pink color combination along with a bit of boldness from the heart shape. This time I kept the background rather simple and added a geometric heart. I love the Love Languages stamp set because of all the different heart shapes that are included, along with the different ways to say "I Love You." I started by painting with my oxide ink to create a watercolor effect directly onto a card base that has more of a glossy finish. I also used my paintbrush to splatter a little of the ink around. Next, I used black ink to stamp the sentiment "I Love You" onto the bottom right corner using my MISTI. If you haven't gotten your hands on a MISTI yet, I highly recommend the investment. 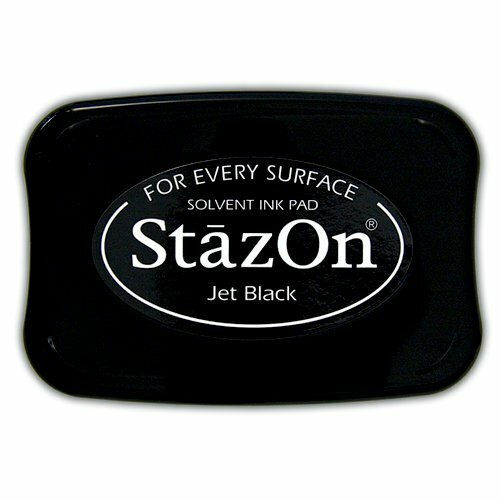 It's been a life saver when it comes to those stubborn stamps that might need a couple more inks. I then went back with the same color oxide ink as the background and stamped a handful of those cute little hearts. The final step was using my electronic cutting machine to cut out a geometric heart shape on black cardstock and adhering it with some foam dots that I cut into smaller pieces. I call this my "5 minute card" because it really didn't take long at all. If you don't have an electronic cutting machine, there are so many different die cuts that would work great with this type of card. What I really love about this card though, is that you can really surprise someone with the different "I Love You" sentiments in the different languages! So if you're looking for a card for your loved one, this one will surely stand out and put a smile on their face. It's Donna here with Joy Clair stamps featuring a couple of newly released stamp sets called "Best Buds" and "Gnome Is Where the Heart Is". These two sets are so adorable, the design team has created some really cute projects with them, check them out while you are here. Here is my first card, which is Joy Clair "Best Buds", this may be my favorite of the whole release. 5. I die cut a circle out of vellum and then added all the elements to my card. My next card is the stamp set from Joy Clair called "Gnome Is Where the Heart Is". This is a very versatle set, again the design team has created some wonderful projects with it. 4. I then added them to my card and finished it off with some Dew Drops. I hope you will play along with the Joy Clair Challenge this month. The theme is always anything goes and our Design Team uses a photo inspiration to create their project that you can use too. If you would like to join the challenge, you can find all the details here. Two lucky winners will have a chance to win a $25 Gift Certificate to the Joy Clair Store. 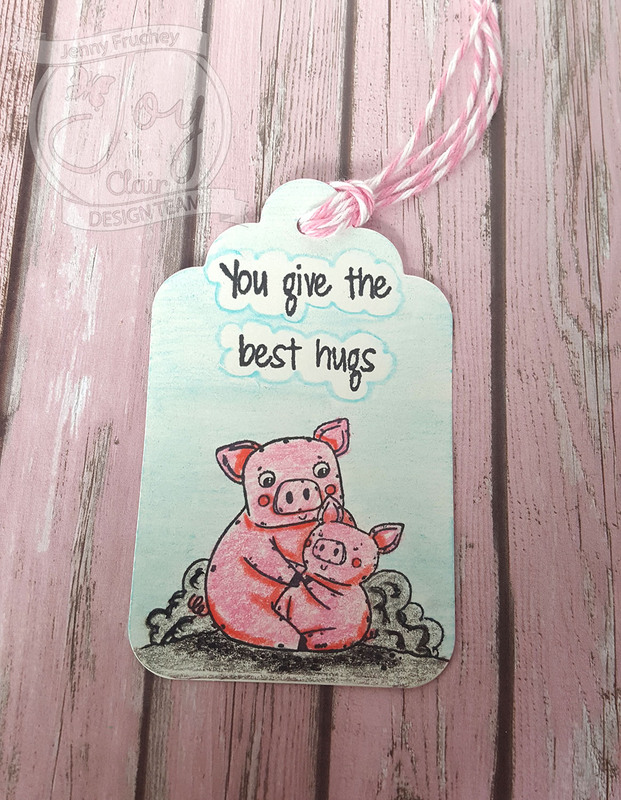 For more inspiration make sure to follow Joy Clair on their social media platforms: Joy Clair blog,facebook page, Joy Clair Stamp Projects, Color By Faith Facebook Group, Instagram and Twitter, Pinterest and Youtube channel to be the first to hear the news, sales and giveaways! It's Ceal, back with you today to share more inspiration from our newest release. Today's card uses the sets Love Languages,from our everyday collection and Scriptures of Love from the color by faith series which is the bible journaling line. 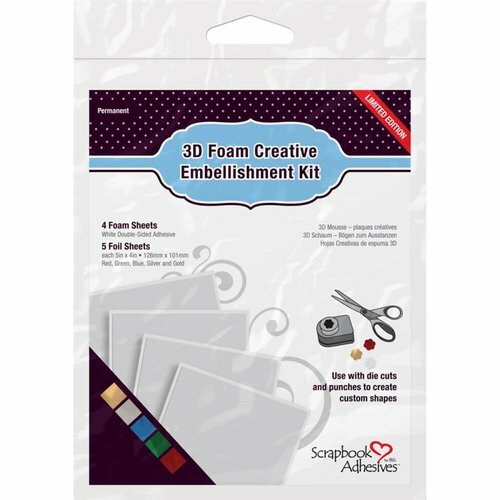 Did you know that all of our sets come with a free SVG file for dies to aid in your crafting. Along with my card today I will also share a tutorial on how I created the background for my card, I call it the distress splatter background. 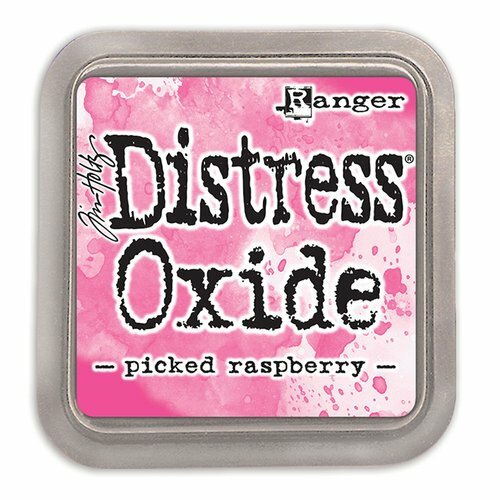 I am addicted to distress inks both oxides and regular, I love how they blend to give you a beautiful background for your stamps. To make my card I started with a top folding white card base and a watercolor paper panel cut to 3 1/4 x 5. The first step is to randomly stamp the hearts using Versamark ink, when embossing I always use the MISTI stamping tool so if I do not get a clean image I over stamp it again. 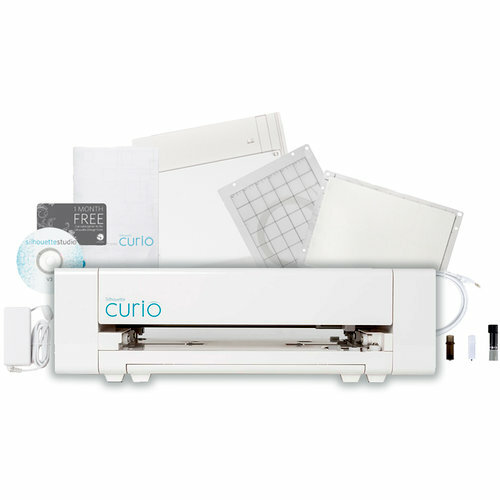 Next you will need your heat tool and gold embossing powder and heat emboss all the hearts on your panel. Next I stamped the greeting from the set Scriptures of Love and them cut it out using a postage stamp die. I added some foam tape to give it dimension on the front of the card. Two valentine cards down and lots to go.